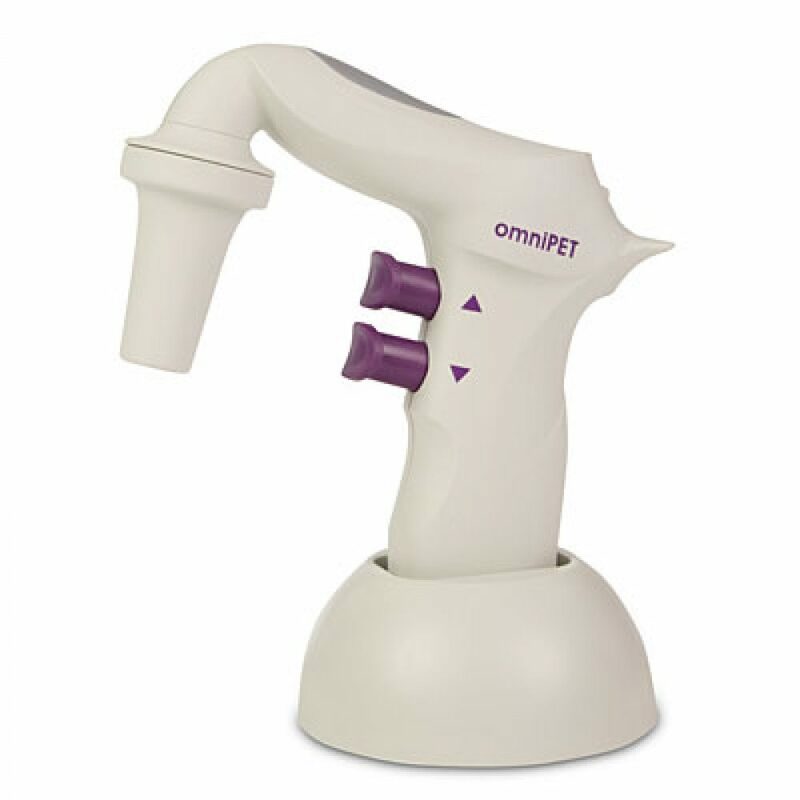 omniPET-M is a motorised powered pipette filler with LCD display designed for cordless work with 0.5-100ml glass or plastic pipettes. 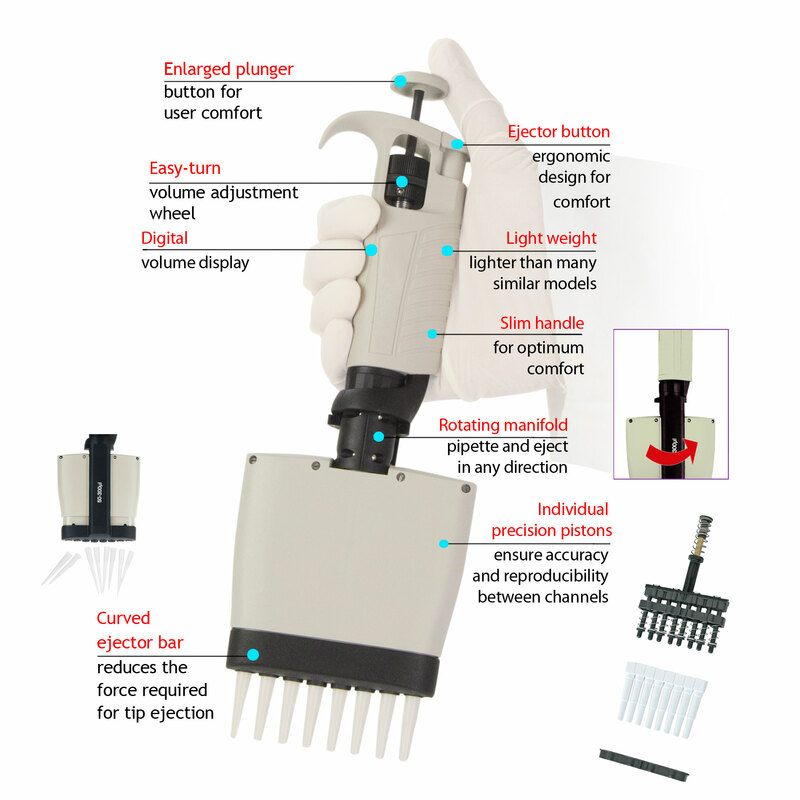 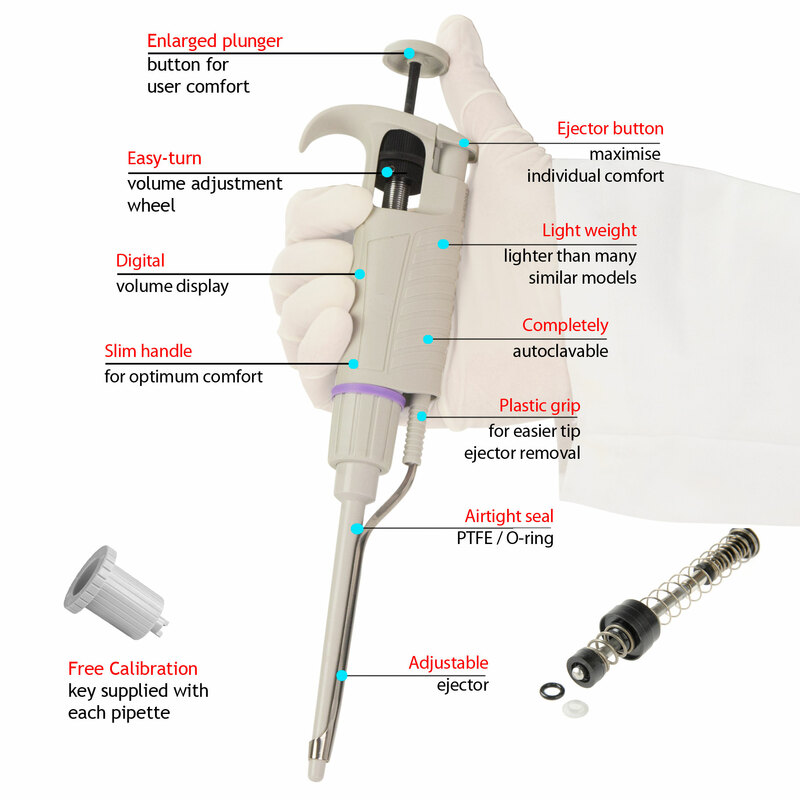 Its lightweight handle, together with smooth pushbuttons and switches ensure effortless pipetting even during extensive use. 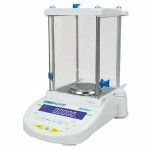 The LCD display indicates setting options and level of battery charge. 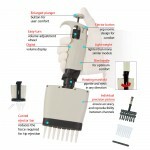 Different operational modes may be selected depending on pipetting volume and viscosity of liquid. Liquid aspiration speeds can be adjusted to HIGH or LOW while dispensing can be by gravity (GRAV) or supported by the pump (BLOW) which empties the pipette with blow out. 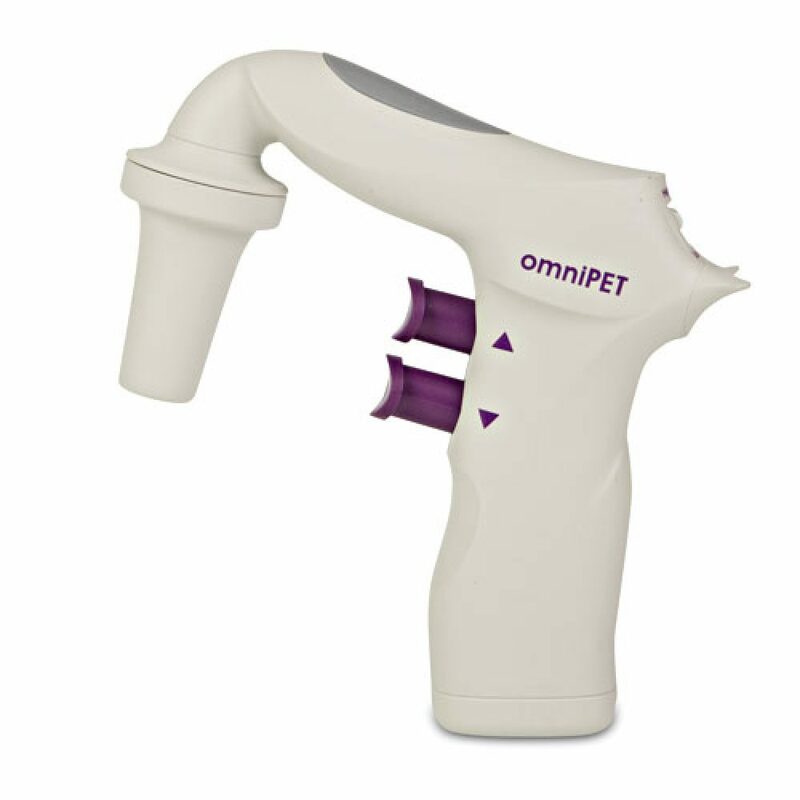 To protect the unit against overfilling, omniPET-M is equipped with both PTFE filters and a safety valve. 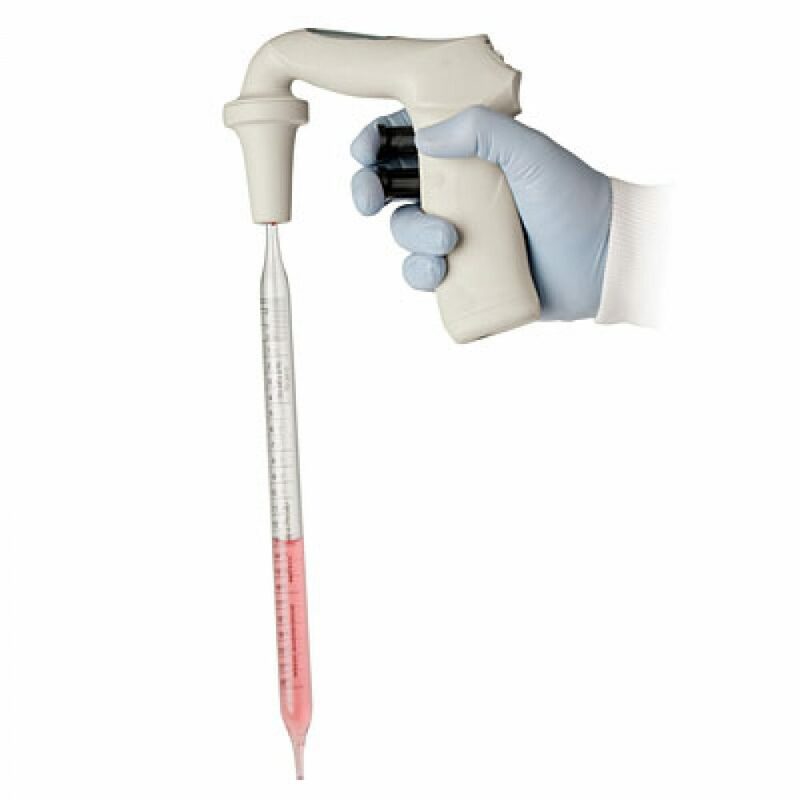 To protect samples from cross contamination, filters and pipette holders can be easily exchanged and autoclaved. 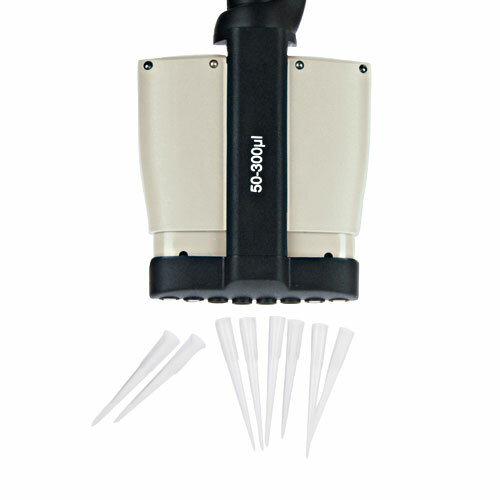 The powerful re-chareable Ni-MH battery allows many hours of continuous work with the LCD display indicating when unit should be recharged. 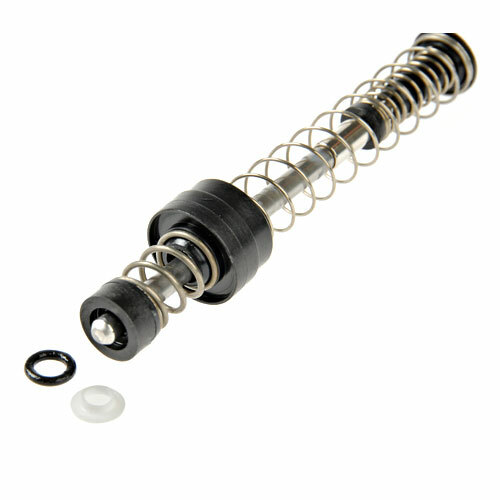 The battery is protected against overcharging by timing and thermal systems. omniPET-M is supplied with a charging stand.